Miracast is a wireless display standard. 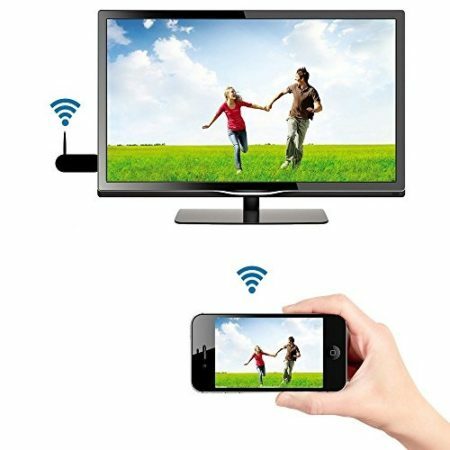 It uses Wi-Fi connection to mirror your smartphone’s, tablet’s or laptop’s screen to large screen televisions. You don’t need HDMI cable anymore to share your device’s screen on large screen TVs. In other words, we can say it is HDMI over Wi-Fi. Miracast is designed to be a cross-platform standard, unlike protocols like Google’s Chromecast (on the Android TV devices and Chromecast) and Apple’s AirPlay (on the Apple TV).